Again this Rum was distilled in December 1998 and it also saw a full 20 years maturation being bottled in January 2019. Maybe fully, but at least partially matured at Main Rum in Liverpool, this would’ve used Estate molasses. Drawn from a single cask that yielded 233 bottles, this Rum has been bottled at its cask strength of 65% with no colouring or additives. It is currently still available on their website here and will set you back around £150. Nose: This Barrel is more giving than it slightly lower abv relative…..it not a cheap date by any means but it’s showing its personality far sooner. I’m sitting out in the garden nosing this rum and the glass, a good arms length away is giving up quite a malty aroma initially…..a hint of sweetness before that familiar summertime aroma (in the uk anyway) appears…..reminiscent of someone three doors away creosoting their fence. It’s quite woody too revealing freshly sawn timber and warm wood shavings fresh from the saw blade. There’s a sweetness running alongside the wood and creosote…..burnt citrus peel and a hint of mixed tropical fruit juice. Fighting to come through are a waft of smoke, spilt diesel and a freshly started petrol lawnmower. There’s the merest hint of chocolate alongside a slightly soapy note…..or maybe slightly more floral like washing machine softener from clothes hanging on the washing line. Mouth: Far hotter entry than the other barrel…..I mean….yeah it’s higher abv…but only 0.2% higher. It’s a very, very hot and peppery rum. Quite acetone like in its approach with a hint of furniture polish. Very tannic, definitely brings the creosote along to play and that in turn brings heaps of wet wood and dryness with a bittersweet interplay reminiscent of sucking on a piece of liquorice root. 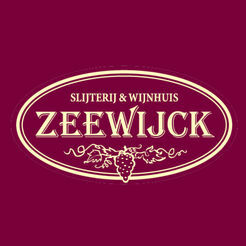 It has those plummy, prune and stewed notes but with a hint of clove and cinnamon. The mid palate brings mixed nuts, bitter orange and a hell of a lot of dry and spicy barrel notes. The finish is a lengthy one and starts with that heat and wet wood before bringing the nuts and a hint of chocolate to the fore. Burnt citrus peel bitterness, diesel and a bag of raisins. It tails off with wood and smoke…..maybe just a hint of menthol. Another enjoyable Caroni carrying continental maturation and another enjoyable one from 1998 which seems to have turned out a few good examples. They definitely work better for me at cask strength rather than lower abv offerings. Equally as good as the previous cask as far as the spirit in the bottle is concerned. This one, whilst immediately giving from the outset does have a slight inconsistency from nose to palate, or rather I find the nose better on this one than the palate. Hard to call….I’d say that overall I enjoy the nose on this 65% bottling better, but I prefer the experience of the 64.8%. Released to celebrate the 40th Anniversary of St Lucia’s Independence in 1979, the Ruby Reserve is only available on island and only 1979 bottles have been produced. Changing hands between the British and the French 14 times during the 17th & 18 Centuries, St. Lucia gained independence on the 22nd February 1979. More detailed information can be found with a visit here. I have been fortunate enough to get a small sample from a friend to use in this review, and use it I will. I have written quite extensively about St Lucia Distillers in these pages and a quick trip to the search box will uncover some detailed information on the distillery, their processes and their stills. I don’t want to waffle on more than I need to as we have some Rum to taste….. Nose: Definitely instantly recognisable as a St Lucia Distillers Rum. That classic medicinal note from the John Dore I pot still is very prominent during the early exchanges. A hint of acetone and sticking plasters soon gives way to tobacco and a hint of barrel spice. There’s some real depth to the blend and an element of minerality to the nose. Time is shows a very rewarding experience. Light vanilla runs throughout with powdery cocoa and chocolate coated coconut pieces. Ever present astringency brings a beautiful Jamaican element to the Rum with caramelised pineapple, salty preserved lemons and citrus oil….there’s something about that classic sticky fruit, saline and citrus interplay that really elevates the Rum. Fresh star fruit, mango and guava juice. 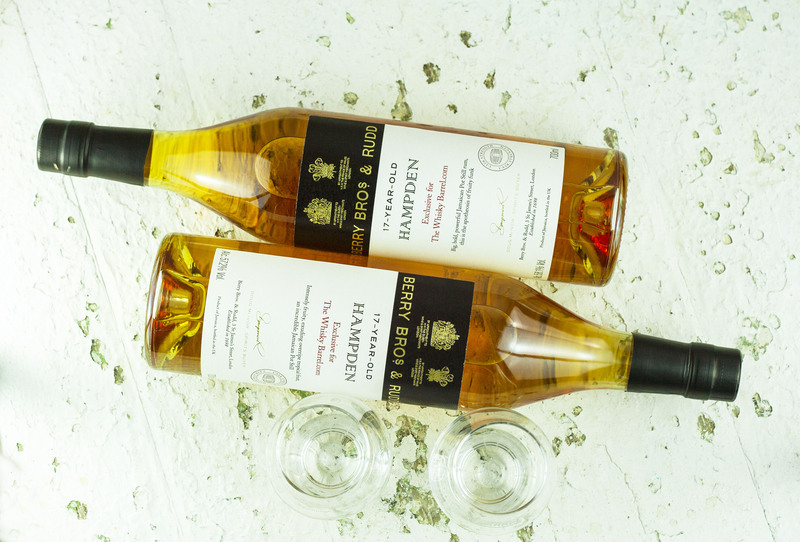 A hint of grassiness and a wine like note rides the growing oaken influence with a developing spiced and floral pink peppercorn before the well-integrated wood shows as freshly cut pipe tobacco culminating in walnuts and marshmallow sweetness. Mouth: A dry and quite spicy entry to the Rum brings milk chocolate coated nuts and raisins. Mixed dried tropical fruit and citrus peels. A tannic wine note is certainly present along with stewed plums, prunes and baking apple with a touch of mincemeat (think Christmas mince pies). Syrupy oat flapjacks and caramelised bbq pineapple lead into a little bitterness. Maybe a touch of scrumpy. The mid palate carries a beautiful dryness from the oaken influence and brings cinnamon and nutmeg. More savoury spice notes of cumin and fennel seed rest in the background. There is also liquorice root, damp musty oak and wet cardboard. The finish which carries some length starts off with warm, spiced scrumpy. A light stone fruit bitterness leads into oak and jammy fruit with tobacco and a hint of spice rounding things out. The oak really hangs around and allows the medicinal notes from the nose to make a last-ditch come back with a touch of molasses. This is a really solid Rum and as we’ve become used to with their 1931 Series and new Chairman’s Reserve 1931, the make up of the blend is really sound with every element playing its part. I prefer the nose to the palate on this one but it rewards time and provides plenty of interest. I’m massively grateful to a friend for the sample. Sadly that has just made me crave a full bottle. Unfortunately as it’s only available on the island, the chances of me obtaining one are low. But if anyone can help me out, I’d be massively grateful. 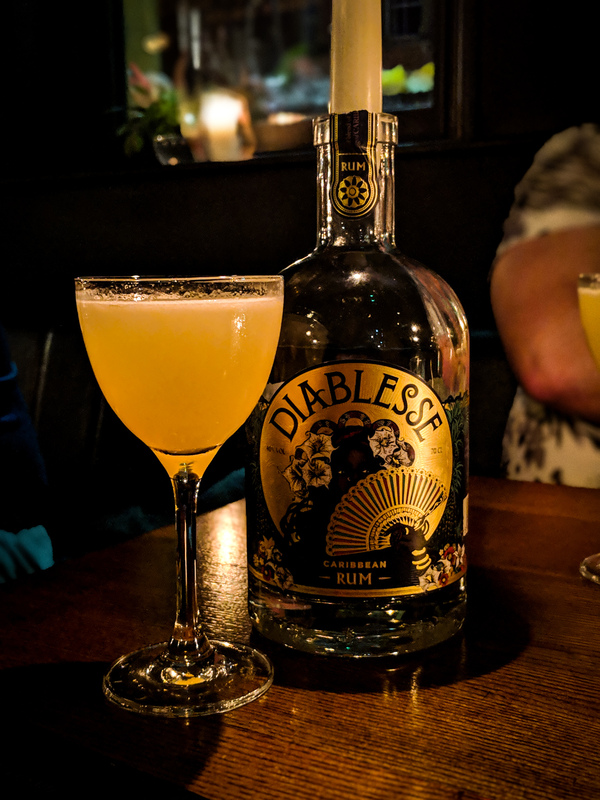 Kill Devil, as you will have seen on these pages before are an independent bottler of Rums hailing from Scotland from the stable of Hunter Laing. This is one of two bottlings , sister casks if you will, that have recently been released as exclusives through online retailer The Whisky Barrel. It’s quite a saturated market for Caroni releases as there are many independent bottlers piggybacking on the reputation gained from the tropically aged Velier releases that always sell out and always end up on auction sites. I seem to personally walk the line between loving certain releases and despising others. Even the releases that I like are only really enjoyed when the mood takes me. The legendary Caroni Distillery that closed in the early 2000’s has somewhat of a cult following. 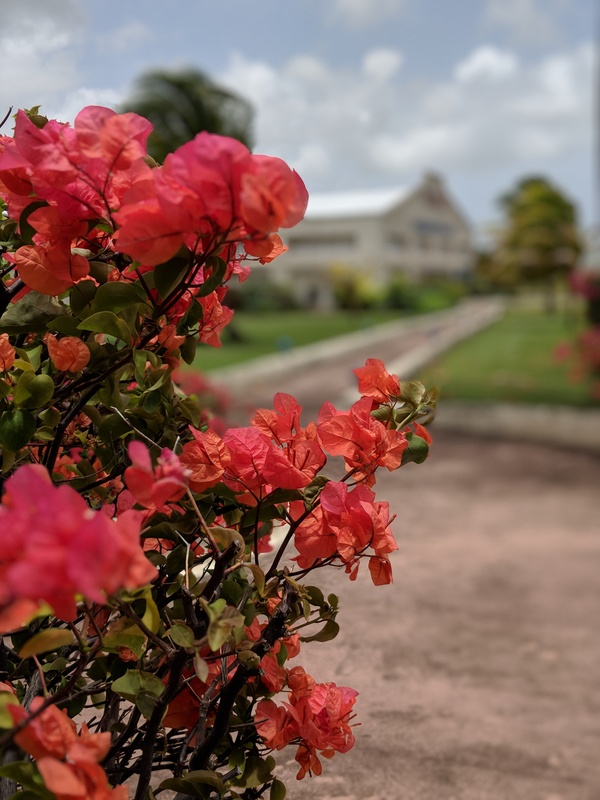 I have previously written about a mix of Tropically matured and European matured Rums from the Caroni Distillery and that information can be found here, here, here and here. Distilled in December 1998 and seeing a full 20 years maturation, it was bottled in January 2019. Probably fully but at least partially matured at Main Rum in Liverpool, this would’ve used Estate molasses. Drawing from a single cask that yielded 214 bottles, this Rum has been bottled at its cask strength of 64.8% with no colouring or additives. It is currently still available on their website here and will set you back around £150. There is another release as mentioned above clocking in at 65% abv and that will be up on the site soon. Nose: Needs a little time to stretch its legs. It’s not very revealing initially. Quite a tannic nose with some really heavy and spicy oak present. The tar and fuel like notes are present, definitely present, it’s Caroni after all…..but they are kept in check by what feels like huge oaken influence. This is a positive for me as I’m more of a fan of the oak and fruit led expressions. Butterscotch sweets, a candied fruit and burnt raisin creeps in with the vague hint of tropical fruit that gets beaten down by a touch of smoke and a hint of creosote riding the wave of oak. Time brings a lightly herbal quality with hints of root beer. A touch of acetone and wood varnish is accompanied by a menthol note. Water brings a creamy, almost dairy element to the nose and calms down the typical Caroni notes. It brings a hint of milk chocolate and sweetens up the oak. Mouth: The full force of the oak really flexes it’s muscles on the initial entry. Very hot, very spice driven, extremely drying. There is a hint of sweetness present before the creosote kicks the door through. It’s heavy on the oil and lamp fuel with just a hint of tar. Respite comes in a developing interplay between fruit and bitter notes. Plum Sake and sticky dates….the sticky kind that we buy by the box here at Christmas but also big medjool dates stuffed with walnuts. The mid palate brings freshly cut ginger (and it’s juice) and more of that tannic oak spice. The merest hint of candied fruit, maybe pineapple, and a touch of clementine oil. Heavy on the eucalyptus and menthol with pine notes. Hints of pineapple mint. Water brings the sweeter elements forward and accentuates the walnuts and sticky dates. Makes the whole package more approachable as expected with chocolate coated raisins and it brightens up the oak making it a tad less dominant. The finish is long and remains very consistent with the mid palate. Fruit, oak, menthol and a hint of lamp fuel but an underlying sweetness. It’s another good example of the type of Caroni that I enjoy. Fruity with dialled down tar, fuel and creosote which enables me to find what’s beneath the components that usually form a barrier to my enjoyment. I was fortunate enough to have recently been asked if I’d like to try a small sample of the new Havana Club Tributo 2019. Not wanting to miss out on the opportunity I said yes. There is a little accompanying background information on the release that I’d like to give prior to my thoughts. Havana Club Tributo 2019 marks the fourth iteration of this series of releases. The 2019 Havana Club Tributo release has been blended by three generations of Maestros del Ron Cubano. Don Jose Navarro, Maestro del Ron Cubano; Asbel Morales, Maestro del Ron Cubano; and Salome Aleman, the first and only female Maestra del Ron Cubano were tasked with selecting a rare and extra-aged Rum base representing their own style and laid down in the decade of their appointment to their position. 1970’s. 1990’s and 2010’s respectively. 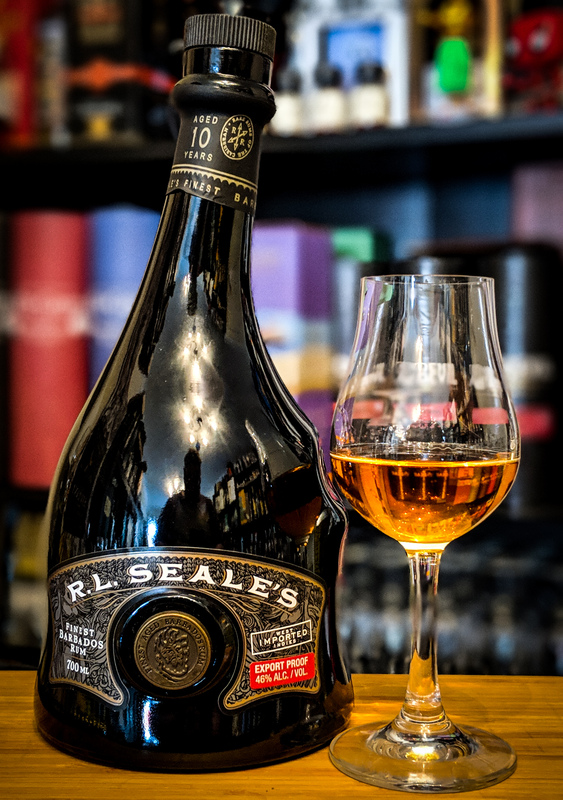 These base Rums, including and additional one that had been matured in rare Cognac casks were combined and then blended again with a Rum that has spent in excess of 25 years in French Oak. Presentation wise the Rum comes in a wooden box and each of the available 2500 bottles are individually numbered and will set you back €400. So there you go. Some particularly old Rum sitting within this bottle, and quite a commanding price tag to go with it. But what does it taste like? Nose: The Rum is a very intense proposition. Quite heavy and dominant oak leads as expected for something with components of this age. There is a welcome astringent bite of French oak that really increases the pungency of the Rum in the glass. Dried fruit comes to the fore with particular emphasis on candied fruit peels accompanied by a burnt sugar. Dried apricots, flamed orange peel and a little fruit cake spice such as clove, nutmeg and cinnamon. It remains quite tannin led and its all the better for it. The trademark leather and the merest hint of cigar box are present but the French oak really lifts the nose on this above other Cuban Rums that I’ve tried and brings a lot more complexity to a style of Rum that I have grown a little disillusioned with. Mouth: A sweeter entry than desired and this is accompanied by a far lighter mouthfeel than expected. Quite simplistic to begin with….Vanilla. Fruit cake with a brown sugar crust. A freshly opened bag of dried prunes. Lightly toasted almonds. Custard and buttery shortcrust pastry. In actual fact, the palate remains quite simplistic and is lacking the complexity hoped for. I expected more of that wonderful oak that was found on the extremely impressive nose, but sadly I’m left wanting. Sure there is oak, but nothing like the intense drying behemoth that I expected. I get the feeling that sweetening has been added to combat the effects of the extensive maturation, maybe even to assist in cigar pairing. Unfortunately this is dulling the experience rather a lot for me. The finish is a relatively lengthy one with fruit cake mix, mild oak and the trademark cigar box. The level of additives surprised me as it certainly felt like more (so much so that I ran the test three times), and I know that I’m not alone in this thinking. Higher abv would really help this bottling and if this could be presented at the 45% of their very enjoyable Selección de Maestros, that would’ve really assisted on the palate. The complexity of the nose is a delight to experience with its heavy, brooding oak, dried fruits, and the impact on the overall aroma that the French oak has had cannot be under emphasised….but sadly it does not carry through to the palate which a little dulled and lacklustre…hence the score. Could’ve been great, but my experience was found to be lacking. 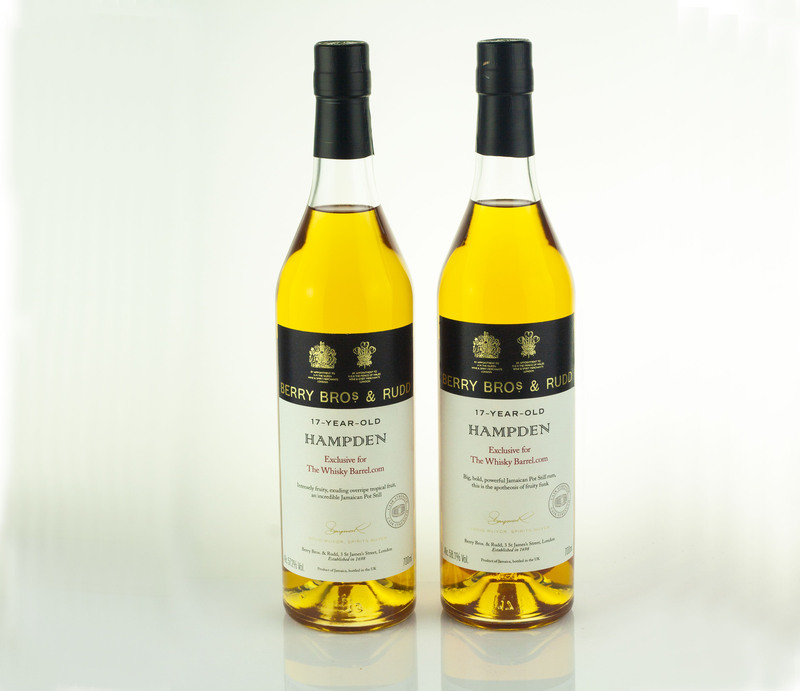 Hampden Estate will be familiar to any readers here as I have written about a few of their Rums. Information can be found here if you fancy a bit of background reading. 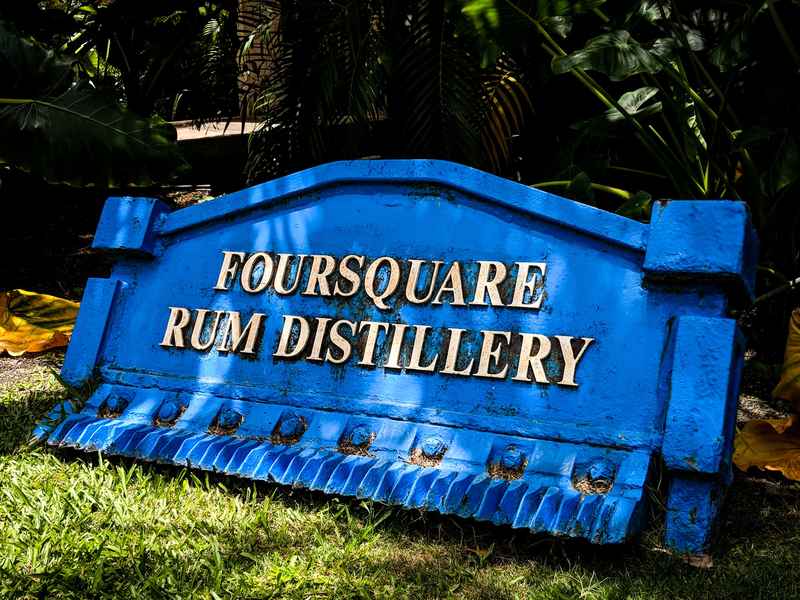 It’s a place that I would love to visit, to see Rum making steeped in hundreds of years of history. I want to get right into these bottles as there are two up for review today. Both are bottled by Berry Bros. and Rudd and both are Exclusive to The Whisky Barrel. They are both from a distillation in 2000 which would make them potentially LROK giving them an ester level of 200-400 g/hl AA. Not excessively high….but as we know….elevated ethyl acetate is not the key driver to a good rum. 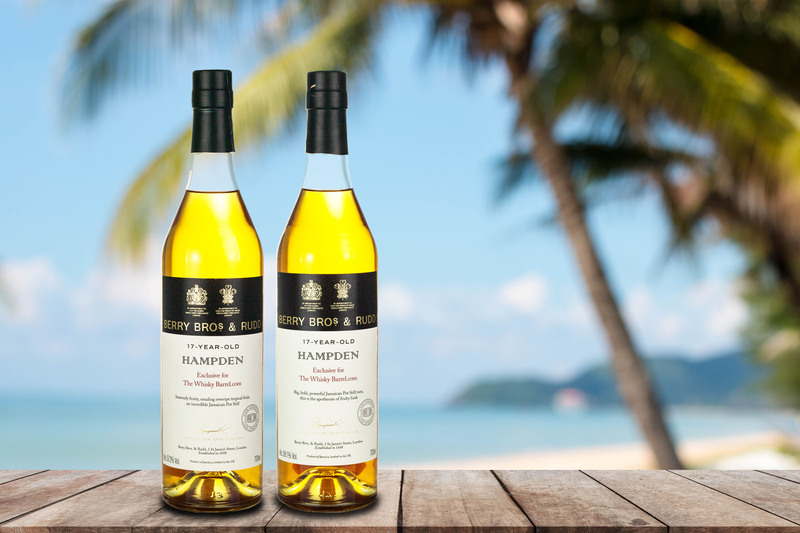 Both of these Rums are available from The Whisky Barrel for just shy of £85 each…..for 17 year old Hampden’s…not too bad. Bottled at 57.2%, which we assume is cask strength, this release from Cask #27 saw 194 bottles. Nose: Bright astringent ethyl acetate right away. Acidic sweet pineapple. Model glue. Varnish. 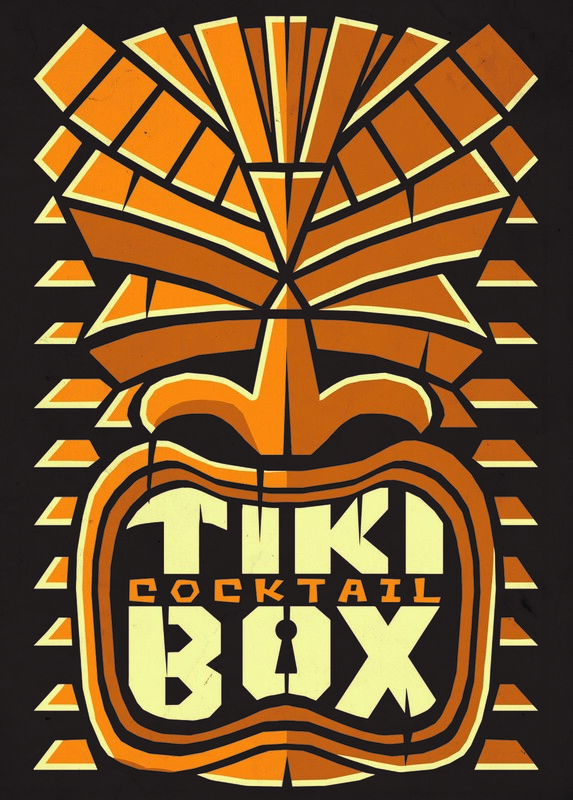 Fruit is definitely a key facet to this rum with warm banana and a salty citrus oil backing up the pineapple. The sap from freshly sawn cedar…a memory that takes me back to making arrows in the shed at home as a child with my Dad. The freshness of pine mixed with menthol and eucalyptus. Something reminiscent of a new pair of suede trainers. Crazy stuff. Mouth: Vibrant and sweet entry. It ticks all the relevant boxes. Pineapple. Banana. Tropical fruit leathers. Mango. Interestingly a bit of custard apple. In comes the savoury side of things on the mid palate led by a very well-integrated oak. Dry and peppery with spiced barrel notes. Olives. Brine. Salty crackers. Preserved lemons. Melting plastic makes an appearance. The long finish is spice led with the oak flexing its 17 years influence. Citrus, pineapple, play-dough, heavy acetone all sit in the mix. Quite a bit of peppery heat there too. It keeps your attention till the death. A hint of hazelnut and milk chocolate play off the oak. A lot to enjoy in here. Bottled at 58.1%, which again we assume is cask strength, this release from Cask #54 saw 189 bottles. Nose: I know that technically these are sister barrels…..same marque….same year of distillation….same maturation period….but the initial aromas are very different to barrel #27. Dialled down ethyl acetate and acidity gives way to a more vegetal and wood dominated nose. There’s something dirty like potatoes freshly removed from the ground. The fruit is there, definitely there but it is a background note initially. Warm pineapple upside down cake. Turmeric. Window putty. Fennel seeds. Sticking plasters. Menthol. Vanilla. Pencil shavings. Time allows the varnish and model glue to appear. Mouth: Warming, sweet and quite refined…it is LROK I suppose. Fruit is here with pineapple, bananas, flamed orange peel. Dried tropical fruit….think mango, papaya and guava. Higher abv than cask #27 but it’s more approachable. Light brine and olives. The oak is a lot heavier in this sip on the mid palate. Far more spice from the wood. Fiery fresh ginger juice, a hint of Scotch bonnet and black pepper. Maybe even some allspice. Celery salt and fresh crunchy fennel. The finish is again….long. It’s far more savoury that the other cask though. Solid oak influence resplendent with all of the barrel spice notes mentioned. If the other cask was vibrant wood, this is a musty, older cask. Wet cardboard. Roasted stock vegetables with dominant celery. Good….but different. Approachable cask strength Hampdens you say? Both great expressions of non tropically matured Hampdens….specifically the LROK marque. Not as intense as the tropically matured LROK that I have experienced but they’re both very good examples and both warrant a purchase if you have the funds. Cask # 27 is my favourite of the two given the profile consistency from nose to palate, but there is plenty to enjoy from the heavier wood influence on Cask #54.